While waiting for the release of this book, I would like to invite you to a very special event that takes place this coming weekend. 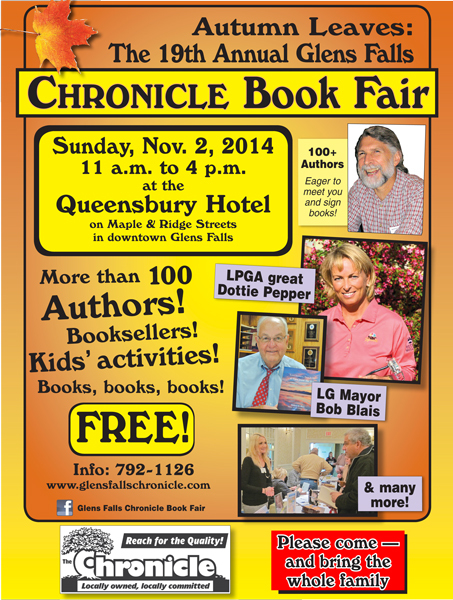 It is the Chronicle Book Fair that will take place this Sunday at the Queensbury Hotel in Glens Falls, NY. The event is truly fantastic! We participated last year and were so taken with it that decided to do it again. Teresa and I will be there signing our book Water, Sky & Time. Come by our table to say hello. We would love to see you there. The fair is free and well worth your time.